Why would I need self storage in Wilmington, CA? There are a variety of reasons why you might need self-storage in Wilmington, CA. How much is a storage unit in Wilmington, CA? The cheapest storage unit in Wilmington, CA is $76.00 per month. What size storage units do you have available in Wilmington, CA? In Wilmington, CA we have sizes that range from 5'x5' to 10'x30' to suit your storage needs. How much is it for a 5'x5' storage unit in Wilmington, CA? The cheapest 5'x5' storage unit in Wilmington, CA is $76.00 per month. Wilmington is a small California neighborhood located in the Harbor Region of Los Angeles County. Found just south of Los Angeles, this area offers a quieter alternative to life downtown while still keeping residents within easy reach of major metropolitan amenities. It's home to a large number of young families, as well as a dynamic Latino and foreign-born population. With plenty of local restaurants and businesses, Wilmington has a lot to offer in terms of convenience. Even a quick glance around Wilmington will reveal the major influence of one particular resident in the city's history. Phineas Banning was an 1800s businessman who had a love for Southern California and a visionary approach to community development. Banning founded the city in 1857, and it was briefly known as New San Pedro until he renamed it Wilmington after his birthplace in Connecticut. There are several tributes to Banning throughout the city of Wilmington, and you can even visit his 1864 Greek Revival mansion. Today it's the Banning Museum, fully restored and dedicated to a variety of exhibits including those featuring items from the Banning family and everyday Victorian life. Banning's influence also lives on throughout Wilmington in the form of Banning's Landing Community Center and other Banning monuments. If you're looking for an affordable Los Angeles neighborhood to relocate to, Wilmington is a prime option. Although the cost of living here is higher than the national average, it's considered fairly affordable for the Los Angeles area. For this reason, Wilmington attracts a number of young families, who also enjoy the family-friendly amenities the city has to offer. At the Banning Recreation Center, you'll find plenty of ways to spend time outdoors in the beautiful California weather. Children's play areas, picnic sites and sports courts are all featured at the center, as well as a large auditorium for community events. The East Wilmington Greenbelt Community Center offers several children's programs, like summer day camps and after-school programs. One of the more unique characteristics of Wilmington is its self-proclaimed status as the home of the world's largest jack-o-lantern. Every Halloween, the Phillips 66 refinery paints a large, 3-million gallon tank to look like a friendly jack-o-lantern. Tens of thousand of tourists arrive in Wilmington just to see the impressive sight. The Los Angeles Unified School District (Board District 7) manages the schools of Wilmington, and there are also a few faith-based private schools to choose from. For students considering a career in education, the Harbor Teacher Preparatory Academy offers a specific study track. Utilities: The Los Angeles Department of Water and Power, Southern California Gas and Southern California Edison are the primary utilities providers in the area. Garbage and Recycling: Trash, recyclables and green waste are collected curbside for most residential areas of Wilmington. Transportation: Wilmington is served by the L.A. Department of Transportation via the DASH Wilmington route. 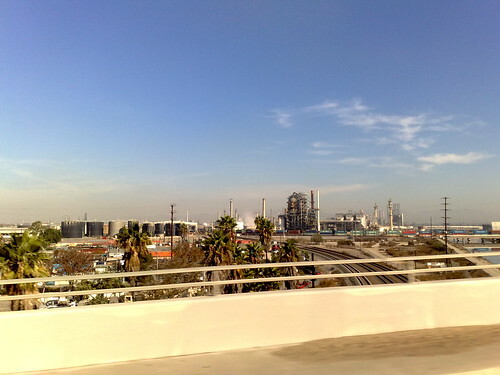 This route is popularly used by commuters to Los Angeles. Housing prices in Wilmington are slightly less expensive than the larger Los Angeles area, but you should still expect to pay considerably more here than in other U.S. cities. The average rent for a small apartment is also fairly high, and the rental market tends to be pretty competitive. Our lowest priced units in Wilmington, CA average $76.00 per month. 108 people have reserved units in Wilmington, CA in the past 30 days. There is 1 location within Wilmington, CA's city limits.